The new website is up, looking fresher and greener than the two previous lay-outs. 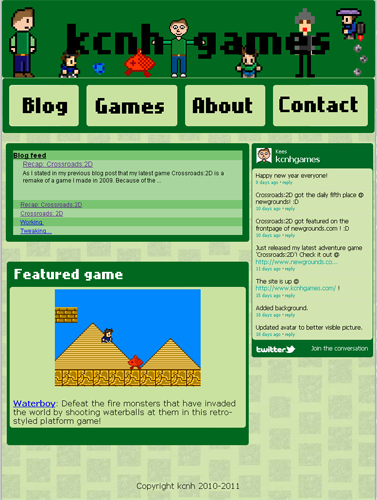 Central in this theme are the games, which can be visited directly from the homepage by clicking the little icons. 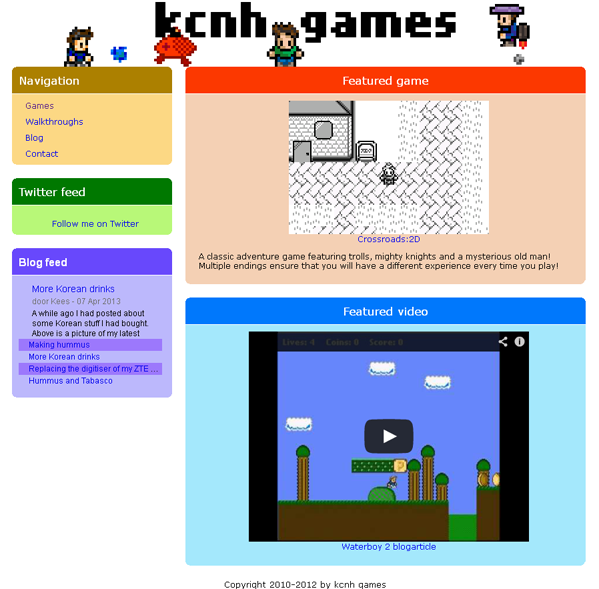 I’ve also updated the logo of the website, it now features characters from various games I have made standing in line.